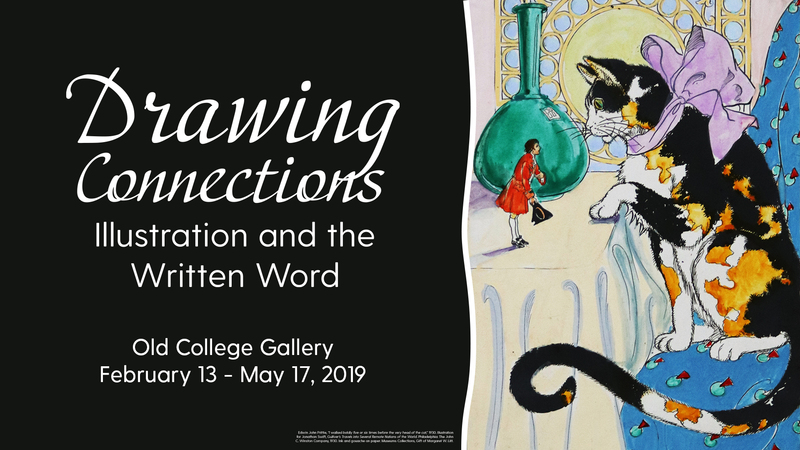 Through spectacular examples of books, paintings, drawings and prints, this exhibition explores the interaction of word and image across a range of genres and time—from the 16th century to present day. Categories considered throughout the galleries include: classic, ancient and modern literature; religious stories; scientific and botanical literature; and fairy tales and children’s literature. From the earliest days of printed-book illustration, artists and authors have worked to connect the written with the visual. Sometimes the connections are harmonious, and sometimes the relationship between word and image demands interpretation. When illustration and text are joined successfully, they work together to create powerful visual impact and meaning. The production of an illustrated book is a complex process. As the advent of various technologies (engraving, lithography, etc.) has expanded creative possibilities, the relationship between image and text has also changed. Sometimes artists create direct visualizations of a narrative. In other cases, image and text show no obvious relationship except that they co-exist in a book. What happens when artist and author communicate across time, as is the case with Pablo Picasso’s modern illustrations for the ancient Greek comedy Lysistrata? What happens when works of narrative art stand as separate but related extensions of a printed book, as with Elizabeth Catlett’s lithographs for Margaret Walker’s poem “For My People”? This exhibition explores such questions. Other artists in the exhibition include John James Audubon, Aubrey Beardsley, William Blake, Edward Burne-Jones, Gustave Doré, Rockwell Kent, Jacob Lawrence, Henri Matisse, Violet Oakley and Faith Ringgold. Featured authors include Dante Alighieri, Langston Hughes, Tyehimba Jess, James Joyce, Herman Melville, John Milton, William Morris, Edgar Allan Poe, Beatrix Potter, Howard Pyle and Christina Rossetti. The exhibition celebrates the recent merger of Special Collections and Museums within the University of Delaware Library, Museums and Press.